Is happiness enough for a good life? This question is becoming increasingly prominent in positive psychology. Is feeling good an adequate measure of someone’s quality of life? Do we really know what it means to be subjectively well when we assess someone’s subjective well-being? Many researchers believe we don’t, saying that the current definition of well-being came about almost accidentally: first of all, researchers wanted to develop well-being questionnaires (because they needed to evaluate various interventions), then they derived the definition of well-being from these questionnaires, without paying much attention to whether they actually captured the richness of human wellness and happiness. It is probably true to say that contemporary literature on well-being largely ignores the contributions of humanistic and existential thinkers like Maslow, Rogers, Jung and Allport. It also doesn’t pay much attention to the complexity of philosophical conceptions of happiness, even though philosophy has dealt with this subject since long before psychology even existed. Can someone be truly fulfilled without knowing what he or she is living for, what the point is, the meaning of one’s existence? Is it possible to be truly well without moving a finger to change something in oneself, without growing and developing as a person? This is what is missing from the current mainstream theories of well-being – the notions of growth, self-actualisation and meaning. The current theories of well-being seem to give a one-sided, rather bare picture of well-being. In fact, what they do seem to cover quite well is the notion of hedonism – striving for maximisation of pleasure (positive affect) and minimisation of pain (negative affect). This hedonic view can be traced to Aristippus, a Greek philosopher who believed that the goal of life is to experience maximum pleasure, and later on to Utilitarian philosophers. Recently, another approach to a good life has risen out of the historical and philosophical debris – the idea of eudaimonic well-being. Aristotle was the originator of the concept of eudaimonia (from daimon – true nature). He deemed happiness to be a vulgar idea, stressing that not all desires are worth pursuing as, even though some of them may yield pleasure, they would not produce wellness. 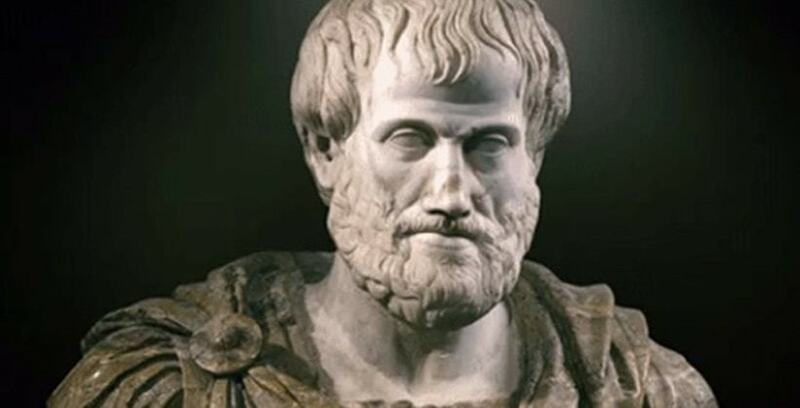 Aristotle thought that true happiness is found by leading a virtuous life and doing what is worth doing. He argued that realising human potential is the ultimate human goal. This idea was further developed in history by prominent thinkers, such as Stoics, who stressed the value of self-discipline, and John Locke, who argued that happiness is pursued through prudence. Click here to watch a video on hedonic and eudaimonic happiness. Humanistic psychologists, such as Maslow (famous for developing the hierarchy of needs) and Rogers, were probably the first ‘eudaimonists’ in the 20th century. Humanistic psychology grew up in the ‘60s out of the climate of pessimistic psychoanalysis and behaviourism that reduced humans to machines responding to stimuli. ‘…man’s tendency to actualize himself, to become potentialities. By this I mean the directional trend which is evident in all organic and human life – the urge to expand, develop, mature – the tendency to express and activate all the capacities of the organism and the self. This tendency may become deeply buried under layer after layer of encrusted psychological defences; it may be hidden behind elaborate facades that deny its existence; it is my belief, however, based on my experience, that it exists in every individual, and awaits only the proper conditions to be released and expressed’. Theories of Well-Being: What Else Lives Under the Umbrella of Eudaimonia? So, if you agree with the claim that just feeling good is not good enough for a good life, you are in a good company. There are several theories of well-being which try to co-exist together under a relatively broad concept of eudaimonia. I’ll discuss a few of these below. Daimon refers to potentialities of each person, realisation of which leads to the greatest fulfilment. Efforts to live in accordance with one’s daimon, the congruence between this and people’s life activities, lead to the experience of eudaemonia. If you think you’ve just about managed to grasp the difference between SWB & SWL and to remember what these abbreviations stand for (subjective well-being and satisfaction with life), I bet you are going to be delighted to see me throwing something called PWB into the discussion pot. PWB stands for psychological well-being, which is a model of well-being widely advocated by a psychology professor, Carol Ryff. I wouldn’t be surprised if she used the word ‘psychological’ only because subjective was already taken. Ryff analysed many various approaches to happiness in different sub-fields of psychology and came to the conclusion that well-being should be seen as consisting of six components. It is certain that this model is quite a lot broader than what is on offer in the hedonic camp, but is it right? Ryff has run many studies which provided so-called empirical support for her model. A lot of other people have run many studies that haven’t. They found that all six components can be accounted for by only two dimensions, one corresponding to hedonic, another to eudaimonic well-being. Whilst all the components of PWB seem important, they still appear somewhat arbitrary. Would the model really suffer if one or two of the elements were not there? Would it be enriched if something else, like inner harmony, was added? Autonomy – the need to choose what one is doing, being an agent of one’s own life. Competence – the need to feel confident in doing what one is doing. Relatedness – the need to have human connections that are close and secure, whilst still respecting autonomy and facilitating competence. SDT asserts that when these needs are satisfied, motivation and well-being are enhanced, and when they are limited, there is a negative impact on our well-functioning. Quite a number of psychologists agree that these three needs are the most basic ones, although self-esteem is also frequently mentioned. Ryan and Deci see a big difference between PWB and SDT in that autonomy, competence and relatedness are fostering well-being in their model, whereas Ryff uses these concepts to define it. Csikszentmihalyi’s concept of autotelic personality is also claiming its place under the eudaimonic happiness umbrella. Autotelic people are those who often engage in activities for their own sake, and experience flow states frequently. One problem with allocating flow into the eudaimonic camp is that some of Csikszentmihalyi’s characteristics of flow, including losing track of time and forgetting personal problems, seem to have much more to do with hedonic enjoyment than with eudaimonic endeavours. The person behind the positive psychology movement, Martin Seligman (2002), introduced an authentic happiness model, in which he distinguishes between the pleasant life, good life and meaningful life in an attempt to work out what well-being really is. The pleasant life is devoted to pursuit of positive emotions, and can be paralleled with hedonic well-being. In the good life one would use one’s dominant character strengths to obtain gratifications – activities we like doing, akin to flow. Finally, meaningful life is about using your strengths in the service of something greater than yourself. Let’s consider the above model in a little more detail. Seligman believes that both pursuits of engagement/flow and meaning can be considered eudaimonic. The research of Seligman and his colleagues shows that when people engage in hedonic activities (e.g. leisure, rest or fun), they experience many pleasant feelings, are more energetic and have low negative affect. In fact, during these activities, they are happier than those who engage in eudaimonic pursuits. In the long run, however, those who lead a more eudaimonic existence (work on developing their potentials and skills, learning something) are more satisfied with their lives. Some researchers claim that eudaimonic well-being is best achieved through personal development and growth , others through finding meaning in their lives. One way or another, they agree that there must be something else out there in addition to pure pleasure and happiness. I wonder if you noticed a little problem with eudaimonic well-being? It’s a MESS! Eudaimonic well-being is not just an umbrella concept for many vaguely related theories, it’s a pot in which anything that is not related to pleasure is mixed up. Some authors define eudaimonia as actualisation of human potential , while others associate it with frequent experiences of flow states. Other commonly used definitions include: realising one’s true nature/ true self , personal growth, meaning, and the totality of the six components of Ryff’s psychological well-being. Seligman defines eudaimonia as both flow and meaning. Can somebody please tell me what eudaimonic well-being is? Despite their attempts to shed light onto the construct of well-being, eudaimonic definitions make the picture even more complicated. Is realising your true nature the same as personal development? And what if your true nature is calling you to violence? Is growth the same as meaning? Carol Ryff is probably right to distinguish between them. Meaning may well be found in personal growth, yet it can also be found in serving others or in believing in God, which means that these two cannot possibly be identified. Are positive relationships important for eudaimonic well-being? Perhaps, but they also seem to be pretty important for happiness or hedonic well-being. On the basis of these somewhat contradictory theories and my own research, I would like to suggest that eudaimonic well-being can be achieved by pursuing either of the following two routes – personal development/growth, or transcendence. So don’t give up yet, it all might make sense at the end! Personal development is related to striving for change, striving to understand oneself and the world better, striving to grow as a person, to become better in one’s chosen fields and domains of life. The routes of personal development and growth lie in the actualising tendency, yet the tendency on its own is not enough. 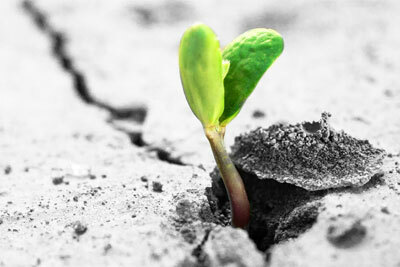 Growth is often an effortful process, involving overcoming challenges and barriers, which can be external or internal. Growth and personal life changes are not always experienced as pleasant. Researchers found that even positive subjective changes can decrease positive affect. For example, one study has established that therapy clients who perceived more improvement in their functioning reported more depressive symptoms and lower levels of self-acceptance, but more personal growth at the same time. ‘The good life is a process, not a state of being’. When psychologists try to measure growth, they often look to what extent individuals are open to experiences or to what extent they are interested in learning. Yet, if we apply common sense, it becomes quite clear that openness to experience is needed not only in order to grow but also to experience pleasure, which is a facet of hedonic well-being. Whilst interest in learning may be a very important aspect, it is hardly a sufficient indicator of human development. So how do we know whether the process of development is taking place; whether we are actually growing? and efficiency in utilising one’s potential and energy. No one indicator on its own is necessary or sufficient, so it’s better to see if several of these changes are taking place. Transcendence is related to dedication and commitment to something or somebody else but oneself. It is also strongly related to finding meaning in one’s life and acting in accordance with this meaning. However, this meaning is necessarily related to transcending the personal (without losing oneself) for the sake of something larger than oneself (it can be children, meaningful work, the wider community, or a spiritual pathway). Transcendence thus leads to some external utility of one’s life, through objective life results or virtuous living. Transcendence is a eudaimonic pathway to well-being that is independent of personal development (although undoubtedly both can co-exist). For example, a mother who dedicates her life to raising (rather than merely looking after) her children as fully functioning human beings may not have much time to devote to her own personal development. Many scholars, including Aristotle, Ryff, Seligman, McGregor and Little, etc., speak about transcending oneself for the sake of the greater good. I hope that introducing this common term would allow for greater integration between theories. There is one more caveat to the story of hedonic and eudaimonic well-being. The concept of satisfaction with life has been firmly allocated into the hedonic camp by the proponents of the eudaimonic paradigm, but it is actually questionable whether this needs to be the case. One can be satisfied with one’s life if one wants to pursue happiness and is pursuing happiness successfully, OR if one chooses to live a more eudaimonically oriented life and this is exactly what one is doing. Remember, life satisfaction is nothing more than a congruence between the present and an ideal situation, both of which are a reflection of the person’s own subjective appreciation of life. Therefore, life satisfaction can be conceived as an independent, subjective evaluation of the current status of one’s life, which can be either hedonically or eudaimonically oriented.